Photographer Nicole Tung accompanied a CIVIC team to the Lebanese border of Syria to speak with refugees in June 2012. The following images and captions from Nicole are from that trip; CIVIC’s findings from these interviews, and others in Jordan, are here. We’ll be posting more of Nicole’s photos and CIVIC interviews with civilians on Facebook and twitter–follow us for more! When I met Souheid, I was already overwhelmed by the toll this conflict is taking on civilians. But Souheid made me understand that I was only seeing the tip of the iceberg. 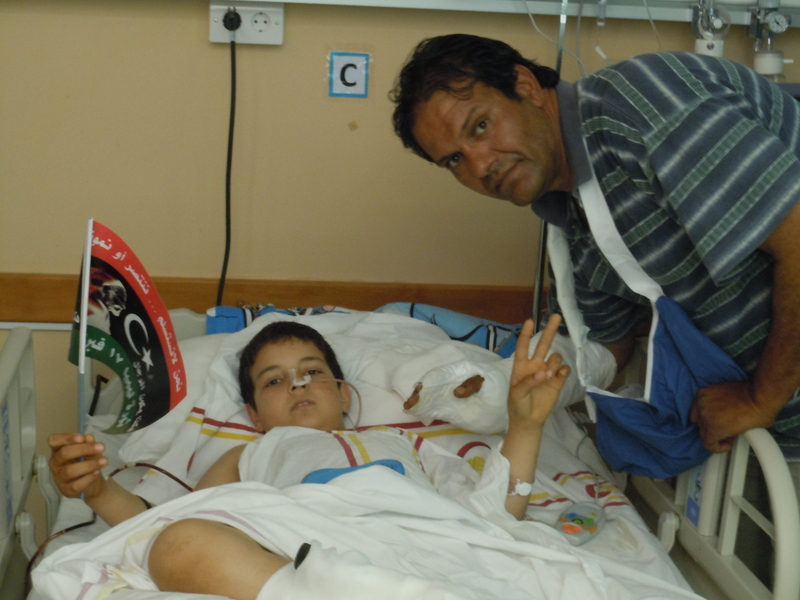 Lying on his bed in a Benghazi hospital, this 8 year-old told me of how his whole life changed after a missile landed in the Misrata house he, his parents, his four siblings and their extended family of fourteen were sharing. “I don’t know what happened,” Souheid told me. “But one minute, we were all sleeping in the same room, away from all the windows to protect ourselves from bullets, and the next, I woke up in the hospital.” Souheid’s prognosis was so dire that he was immediately transferred to the Benghazi hospital I visited him in, where doctors can attend to him without fearing the hospital could be bombed at any moment. Souheid will likely feel physical pain for the rest of his life. But it was abundantly clear to me, and to his father who sits by his bedside, that the emotional impact of what happened to his family will be much harder to overcome. That night in Misrata, Souheid lost a sister, a brother, his grandmother, his aunt, and three of his cousins. Souheid and other victims of war need to have their suffering acknowledged. Although it is never possible to make up for these kinds of losses, warring parties should make amends by recognizing the harm and ensuring civilians have the tools they need to regain control of their lives. Those fighting for a new Libya need to remember that it will be built by the very people who are victimized by the conflict, those who deserve to have their losses recognized and dignified. 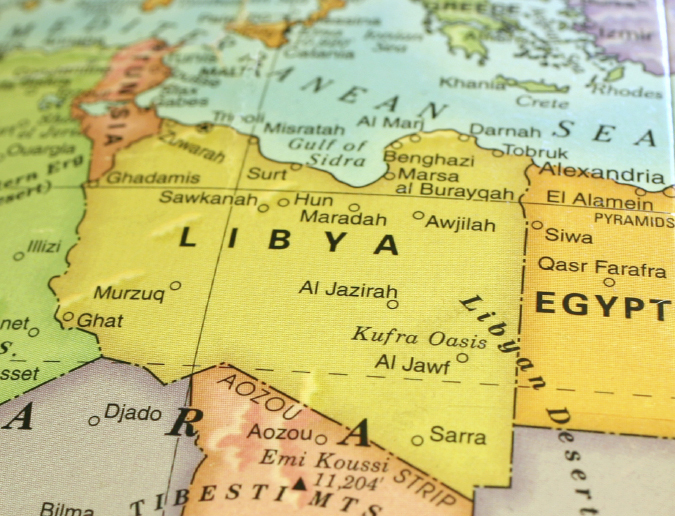 For Souheid’s and Libya’s sake, preventing, minimizing and addressing civilian harm must be at the heart of both national and international efforts in Libya. To support this work click here. I wouldn’t drive a car without working brakes. And I need a wheel to steer, and a speedometer to tell me when I’m not following the speed limit. Kristele just returned from Benghazi, in Eastern Libya, where she met with civilian victims and their families to assess their losses and needs. She met many like Imam, mourning lost loved ones or watching over their injured in the overflowing hospitals. CIVIC’s job now is to advise NATO and opposition forces on minimizing civilian harm, and ensure each and every victim is recognized and helped. We believe Imam’s husband is more than a statistic. Want to subscribe to CIVIC One Minute Updates? Click HERE to sign up!